When Will Your Order Be Shipped? For orders shipping to the U.S., you'll find an estimated arrival date listed in the product details for each item. This arrival date is calculated based on the approximate number of days required to process, package, and deliver your order. If you place your order before the cutoff time on a regular business day (Monday through Friday), your order will begin processing that day. If you place an order on a holiday, Saturday or Sunday, or after the cutoff on a regular business day, your order will begin processing the following business day. For international orders, we will provide you with an estimated ship date. Actual arrival date may vary based on transport times and customs clearance. For more information on international orders. 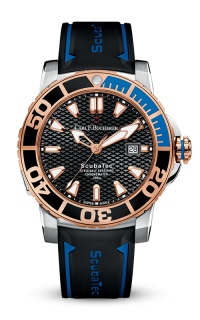 Visit our Swisswatchgallery.com page. If you will not be home to sign for your order, Swiss Watch Gallery can ship your order to your place of work, or another more convenient destination. As a security precaution to protect our customers against fraud, when you order merchandise priced $1000 or more to be delivered to a destination other than your billing address, we will confirm that your credit card or financing company has this alternate shipping address on file. To help expedite your order, simply call your issuing bank and provide them with your alternate shipping address. If you cannot be available, or have someone else available to sign for your package, you can have it shipped to a local hold for pick up location so that you can sign for and pick it up at your leisure. To schedule a hold for pick up, contact a diamond and jewelry consultant. Your order delivery method is determined by the price of your order (before tax). You'll find your method of free shipping listed on the Shipping Information page within the shopping basket. If available, we provide the option to expedite your order with a faster shipping method for a small fee. Swiss Watch Gallery orders are shipped with the reliability and accountability of UPS or USPS shipping. For insurance reasons, a signature is required for shipments of $1,000 or more, regardless of any signed waivers you may have with our carrier. FedEx All orders are insured and shipped free via secure carrier, delivery speed is based on the pre-tax value of your order. For orders under $1,000, our carrier may require a signature. If you are unable to be available for signature on a weekday, we can arrange a Saturday delivery for an additional fee. Call 949-364-2500 and a Jewelry consultant will arrange this for you. Each item will be placed in either a soft blue fabric pouch or jewelry box tucked inside the distinctive Swiss Watch Gallery gift box. All loose diamonds and custom engagement rings will be delivered via FedEx Priority Overnight(r). When you receive your loose diamond or built ring it will be presented in a ring box. Loose diamonds will be held in place by a tension-secured spring ring. The spring ring is for presentation purposes only and must not be worn. You may exchange merchandise purchased at Swiss Watch Gallery if it meets the guidelines below. 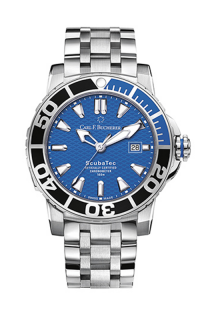 Swiss Watch Gallery provides a 7 day, no-questions-asked, exchange on all products and services purchased of equal or higher value items, except Special Custom Order items. Exchanges are ONLY applicable if the original tag remains intact on the product in question. Our Quality Assurance department will review the returned item/s. 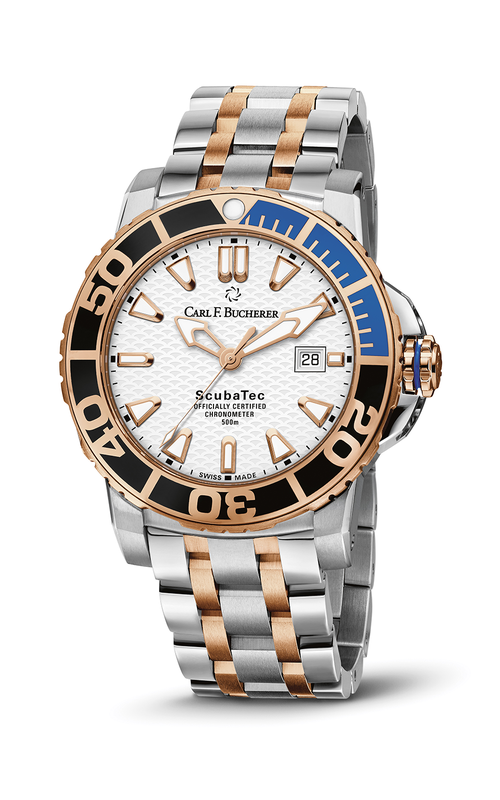 Any items that show signs of wear or have been altered, resized (by a jeweler other than Swiss Watch Gallery), or damaged cannot be accepted for exchange. Exchange requests made AFTER 10 days from original purchase date will NOT be honored. NO EXCEPTIONS. Items in the "Special Offers" category are final and non-exchangeable. All sales for these items are final. If you wish to cancel or changed your mind about Special Custom Order items, you will be charged a 35-50% restocking fee, as well as shipping charges & insurance fee. Upon receiving the goods in question Swiss Watch Gallery will ONLY open the package IF an RMA number is clearly printed on the top of the package, and will ONLY do so under video surveillance to ensure that each 'said' item has been returned. If no RMA number is printed, the package will be returned unopened to the sender and any additional shipping costs for returns will be charged to the customer. 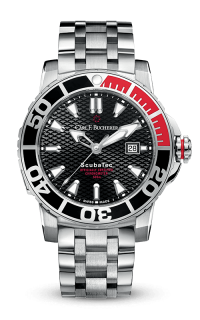 Remember, Swiss Watch Gallery items cannot be returned in person to any retail location. All returns must be made through US postal service, FedEx, or UPS only. Securely pack the merchandise and remember to insure your package. Please keep the tracking number and relevant details, in the rare case that the package is lost or misplaced. The exchange must be made within 7 days from original purchase date. The products must be exchanged in new resalable condition. The original security tag must remain attached. You must pay all return shipping expenses & insurance. Display the RMA number prominently on the outside of the box. Upon receipt of the returned merchandise in good order in accordance with the above and within 7 days of purchase date, we will issue the appropriate credit, not including the shipping, insurance and restocking fee. This Privacy Statement explains how we use, and to whom we disclose, the non-public personal information ("Personal Information") of our customers and consumers provided to or collected by Swiss Watch Gallery via this web site. We reserve the right to change this Privacy Statement from time to time consistent with applicable privacy laws. Any changes will be posted. We do not sell or otherwise disclose your Personal Information to non-affiliated third parties except as set forth in this Privacy Statement. We may disclose your Personal Information to third-party financial institutions, consumer reporting or credit agencies to determine your eligibility for a product or service you have requested from us. We may disclose your Personal Information to third parties who provide services or perform functions on our behalf, or who process or service our transactions with you. When we share your Personal Information with third parties in either of these circumstances, such information may be used only for the limited purpose for which it was shared, and we do not authorize these third parties to share your Personal Information with others except to fulfill that limited purpose. 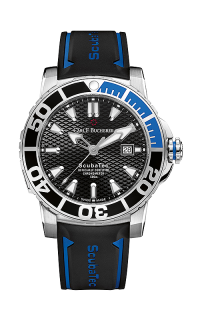 In addition, we will disclose your Personal Information when you direct or give us permission, when we are required by law to do so, or when we reasonably believe that disclosure is necessary to protect Swiss Watch Gallery or you or third parties from a threat of imminent harm, such as through suspected fraudulent or criminal activities. We also may disclose your personal information when otherwise permitted by applicable privacy laws such as, for example, when disclosure is needed to enforce our rights arising out of any agreement, transaction or relationship with you. Both aggregated and user-specific information regarding requested pages in the website that our visitors access or search, or specific items within the website that our visitors view or select. Aggregated statistical and navigational information does not include individual names, personal data or account information, so it does not identify you or any other customer. The information we collect on our website is also used to solve technical problems and to improve the overall experience for the visitor. We do not disclose website visitors' Personal Information to third parties except as set forth elsewhere in this Privacy Statement. However, we may disclose aggregated data of website traffic, search requests and page or ad views for marketing or promotional purposes. If you have an online account with Swiss Watch Gallery, you can update or correct your name, address, telephone number or e-mail address in the Swiss Watch Gallery database at any time by visiting Swiss Watch Gallery and following the on-screen directions. 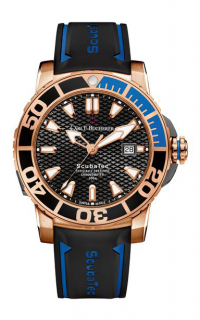 To view, correct or update any of this information, or to contact us with any other questions regarding this Privacy Statement, you may also call us at 949-364-2500 from 11:00 am to 7:00 pm Pacific Standard Time or write us at: Swiss Watch Gallery and Fine Jewelrs, 940 The Shops at Mission Viejo, Mission Viejo, CA 92691, Attn: Customer Service. To be removed from a paper catalog mailing list, you can contact us by mail, phone or email at the address or phone number above. We will make every effort to implement any choice you make as soon as possible, but you should allow approximately three months for mailing change requests to be fully implemented due to lead times with external vendors on printed materials. 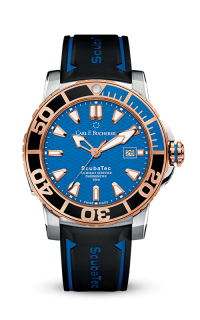 Please fill out the form below and a Carl F Bucherer specialist will contact you regarding the as soon as possible.